Shopping for Johnny Bravo Bed and Bath? "Oh man, I'm pretty!" Cozy up with the handsome stud from Cartoon Network's Johnny Bravo. 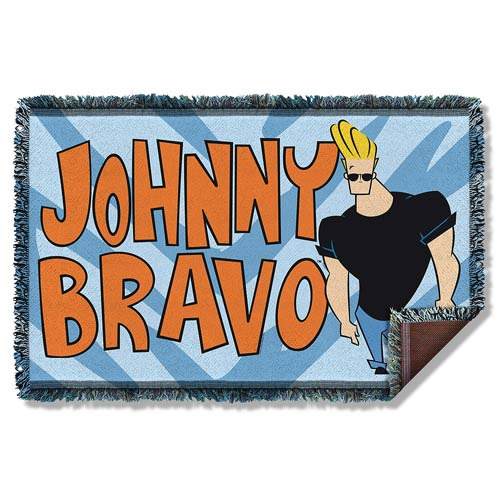 This Johnny Bravo Woven Tapestry Blanket measures approximately 58-inches long x 36-inches wide.